What, no melange? 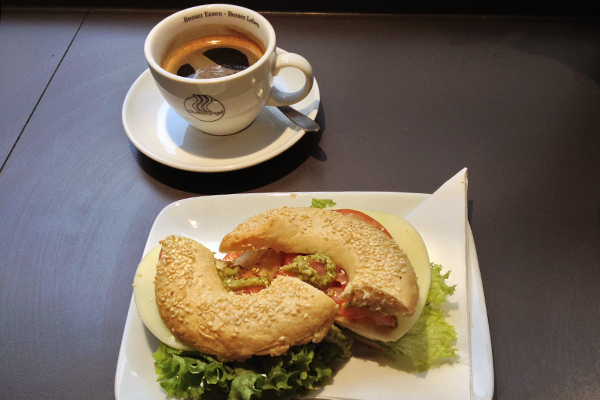 A rare black coffee in Vienna. Imagine for a moment that you’re in Vienna, searching for a quick gluten-free breakfast with coffee, and for some unfathomable reason, cake is not an option. Perhaps you’ve already had your fill of buttercream, or maybe you’re simply in the mood for something savory. Either way, head straight to BlueOrange, where you’ll find all the breakfast you need. Coffee, bacon, eggs, and, most importantly, BlueOrange gluten-free bagels, are served until 9pm daily. As the story goes, bagels originated in Vienna in the seventeenth century, when a local baker created this breakfast novelty as a gift to the Polish King Jan Sobieski. BlueOrange’s gluten-free version of this classic would make the Habsburgs proud, as it’s managed to perfect the bagel ideal of slightly crisp on the outside and chewy on the inside. Gluten-free offerings are clearly marked with a red G on BlueOrange’s menu. Rest assured that many bagel sandwich options are available, from basic cream cheese to lox to more elaborate combinations. 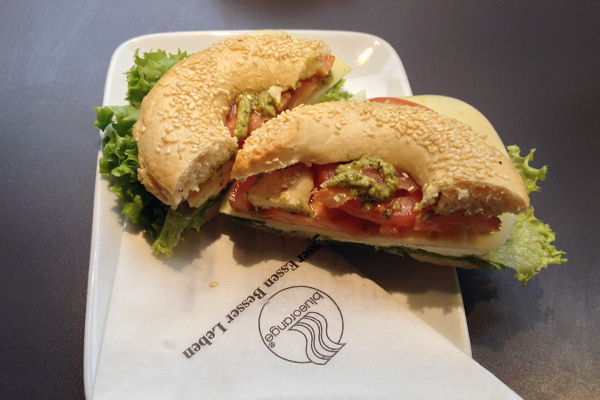 The Italien, with cream cheese, mozzarella, tomato, and pesto, is a solid choice, filling your bagel with a little richness and zest. An added benefit of visiting BlueOrange’s Margaretenstrasse location is that it requires a short walk or U-Bahn ride into Wieden, Vienna’s fourth district, just to the southeast of the Innere Stadt. 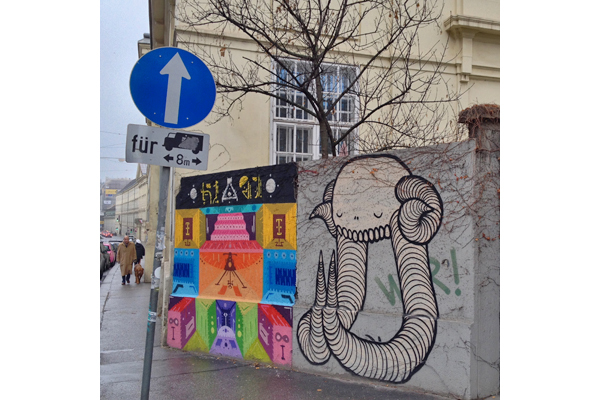 Though street art is not prominent in Vienna, you’ll find some excellent examples in Wieden. 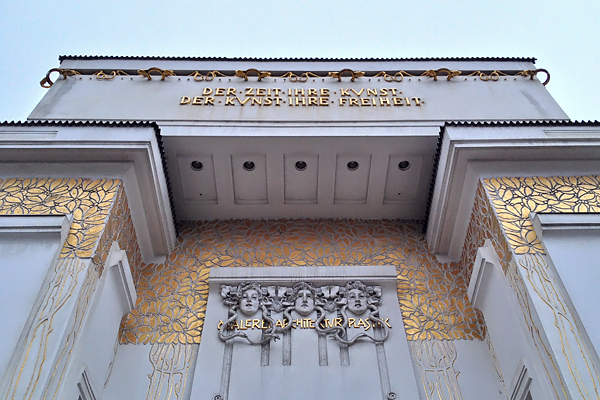 You’ll also have ample opportunity to visit the Vienna Secession building, which was built in 1897 to house an avant-garde group of artists including Gustav Klimt and continues to host fantastic art exhibitions today. Don’t forget, if you work up an appetite after bagels and art walks, there’s always cake! Where? BlueOrange has two locations: Margaretenstrasse 9, Wien (+43-1-58117700) in central Vienna and Alserbachstrasse 1, Wien (+43-1-9081504) on the city’s northwestern side.